Paulsen staff members Allyse Steffen, Derek Baune and Greg Guse attended the annual South Dakota Governor’s Agricultural Summit on June 2 at the Swiftel Center in Brookings, S.D. Ag producers and agribusiness representatives from throughout the state participated in the two-day event. 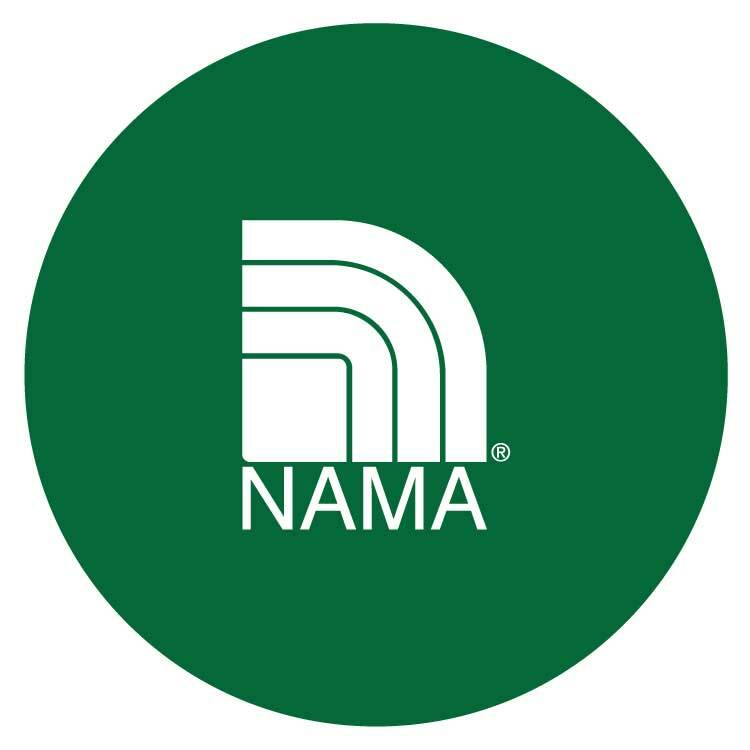 Special guest speakers included Val Dolcini, administrator for the USDA Farm Service Agency (FSA); Sara Wyant, president and founder of Agri-Pulse; Lynn Tjeerdsma, senior ag policy advisor for U.S. Senator John Thune; and Bill Northey, farmer and current Secretary of Agriculture for the state of Iowa. The theme for the opening session was “Ag Trade, the Farm Bill and Beyond,” with each speaker addressing key current issues facing the ag industry as well as looking to the future. The noon luncheon featured South Dakota Governor Dennis Daugaard who emphasized the need for the state to grow livestock and ag processing industries. “Our best opportunity to increase the value of our commodities is by feeding them to livestock or further processing into ethanol and soybean oil,” Daugaard said. A highlight of the Ag Summit luncheon was the 2016 Governor’s Ag Ambassador Award, which was given to Michelle Rook, farm director with WNAX radio in Yankton, S.D. In presenting the award, Governor Daugaard mentioned that Rook leads a team that consistently tops the nation in farm broadcasting audience ratings. He also told the audience that Rook has represented South Dakota agriculture throughout the U.S. and the world with trips to Washington, D.C., China, Brazil, Germany, Mexico and Central America. The afternoon agenda included a fascinating look at weather as it relates to agricultural production. Climatologist Dr. Dennis Todey, South Dakota State University; Dr. Darren Clabo, S.D. State Fire Meteorologist and faculty member at the South Dakota School of Mines and Technology; and Eric Snodgrass, director of undergraduate studies for the Department of Atmospheric Sciences at the University of Illinois each provided detailed analyses of recent weather patterns which have impacted agriculture. Each presenter also addressed the weather outlook for the balance of this year. 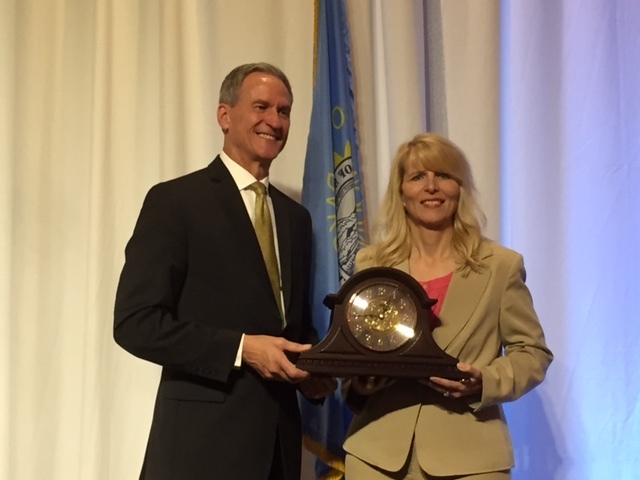 Michelle Rook, Farm Director at WNAX, receives the Ag Ambassador Award from Governor Daugaard.